It is obvious, from all sorts of subtle details, that [Adi Da Samraj] knows what IT's all about . . . One who knows that he is the Godhead doesn't have to use any kind of force to be that . . . a rare being. Every human heart longs to be perfectly and eternally happy. But, in a time dominated by the materialistic viewpoint, few of us even aspire to Perfect Happiness. An honest appraisal of where we spend our time (despite toying with ideas of "spirituality") reveals what we generally settle for: a dinner out with a bottle of "fine" wine; a good movie; a little "peace of mind" through meditation. I felt Beloved Adi Da's Spiritual Transmission thick in the room. I saw Him as the center of a field of visible, Love-Blissful, Conscious, breathable Light. He was simply Divine Love-Bliss. There was no longer a sense of being a separate self — just the profound peace of realizing there is nothing to seek, nowhere to go, nothing to attain. I didn't have any expectations when I first saw Him. But as Avatar Adi Da walked toward His seat, I looked at Him and felt He was only Love, walking around in a human body. I began to weep and weep, because I was literally seeing the Vision of God. And I was overwhelmed with gratitude. Adi Da as Divine Incarnation alive in our time. The world's traditions are replete with spiritually significant stories about great Masters like Jesus, Krishna, and Guatama. Sorting out the historical fact from the mythical embellishment is a formidable challenge. Even if we could discover what occurred thousands of years ago, is it still of spiritual use now? Are these Masters still "Spiritually Transmitting" in the twenty-first century? Adi Da Samraj is a Divine Incarnation alive now. Often, Westerners react to the notion of a "Divine Incarnation" — our skepticism is born out of both the traditional Judeo-Christian notion of "God" ("How can the all-powerful God appear in limited human form? "), and our broader, materialistic doubt in the existence of anything spiritual. Adi Da strongly critiques both God-less materialism and the notion that God is "all-powerful", the "Creator", "in charge of the universe", etc. He instead describes God as the Source: the "Dreamer" in Whose Consciousness all beings and things are appearing. It is possible for God to appear in the "dream" (as a "Divine Incarnation"), and for us to Awaken out of it (as God, the only ultimately Real Being): such "God Realization" is our greatest destiny. "Divine Incarnation" does not occur through a Divine act of will alone; it depends on a rare and mysterious conjunction of circumstances that creates a "gateway" for the Divine to appear here as a character in Its Own "dream". The human life of a Divine Incarnation. Adi Da Samraj describes how the Divine Being seized upon just such a rare opportunity to incarnate in 1939 as an American named "Franklin Jones" in Long Island, New York. Adi Da's first thirty years are the extraordinary story of the Divine progressively Enlightening "Franklin Jones", and preparing that human vehicle for the Divine Work of Enlightening all beings. In contrast, Adi Da's early life reflects the Divine descending into the human vessel of "Franklin Jones", and awakening the various higher centers (and their corresponding Realizations) in the reverse order from the familiar spiritual traditions (see the right column of Figure 1), at the "God Speed" of a few years. Now. . . instead of confronting what was arising in "myself", I "meditated" other beings. I would spontaneously become aware of great numbers of people . . . and I would work with them very directly, in a subtle manner. There is only one Divine Process in the world, and It is initiated when I [spiritually] "crash down" and "enter" My devotee. I Am the Divine in bodily form. When My devotee truly surrenders to Me, then I enter My devotee in the form of Divine Light. Over the past three decades, Adi Da has fully developed the Spiritual Way of Adidam, in which devotees "link up" with this Process of Divine Emergence. That Divine Process distinguishes Adidam from other traditions. Conventional meditation, astral projection, and other aspects of "New Age spirituality" work by stimulating specific "higher" centers of human anatomy. The Way of Adidam places no ultimate value on such "higher" experiences; the same limited ego experiences them, and is not set eternally free by them. Instead, the Way of Adidam is about surrendering the whole body to the Divine, to the degree of complete Awakening. Will "Realizing God" require giving up my ordinary life and viewpoint? Will it "ruin" my life? Yes! There can be no Realization of God — the Great Identity — without complete transcendence of "self" — the lesser identity. At some point, we realize our "precious" ordinary lives are pretty "low" on the scale of possibility, as we start to really suffer their limitations (often as we age). Such "positive disillusionment" opens us to being Awakened out of this mediocre destiny, which otherwise keeps repeating mechanically, lifetime after lifetime. Is the Guru-devotee relationship an archaism? Wouldn't a "do it yourself" approach work? The "psycho-physics" of Spiritual Realization does not change with social trends; the Guru-devotee relationship remains its very core. The "self" preferring the "do it yourself" approach is the very identity needing to be transcended. 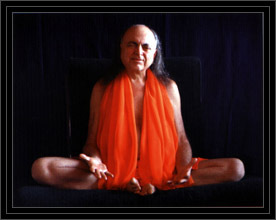 How can we know Adi Da is a Divine Incarnation? By the unique characteristics of the Divine State He transmits — the complete dissolution of all sense of "separate self", the Revelation of Consciousness and Energy as a Unity, etc. — relative to which each of His devotees is a "reporter" (not a "believer"). Talk to Adi Da's devotees around the world, who are "tuning in" to His Transmission. Then place yourself in a position where you too can receive His Transmission: study His Teaching; view pictures and videos of Him; view His "Image Art"; visit Adidam's Sacred Sanctuaries — all of these means have been Spiritually Empowered by Adi Da to channel His Transmission. And when you are rightly prepared, enter into His physical company. I am like the sunlight in the morning. I intensify the light of morning until you Awaken. Until then, you continue to dream, try to survive within the dream, pursue all kinds of goals, searches, none of which Awakens you. I, Myself, the One Who would Awaken you, am not an individual within the dream. I Am the Conscious Light, the True Divine Heart — Breaking Through the force of dreaming. I Am your own Most Prior Self-Nature Appearing within the dream in order to Awaken you. 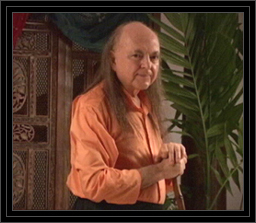 To find out more about Avatar Adi Da Samraj and the Spiritual Way of Adidam, visit the About Adidam website and the Adi Da Up Close website.